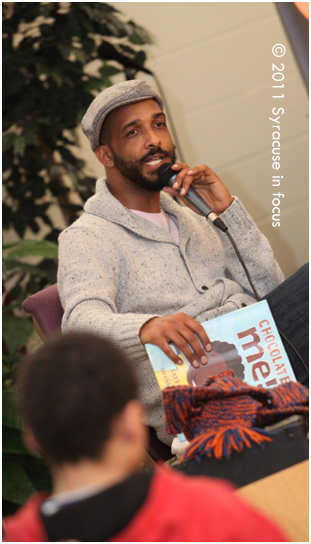 Actor Taye Diggs, who earlier this week fought off an intruder at his home, came to Syracuse a few years ago and read from his book Chocolate Me. 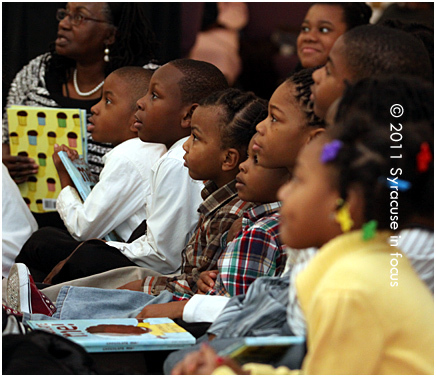 The event was held at the Greater Evangelical COGIC. Fellow SU Alum Shane Evans provided the sounds. Shane Evans and Taye Diggs discuss their collaboration to create Chocolate Me. 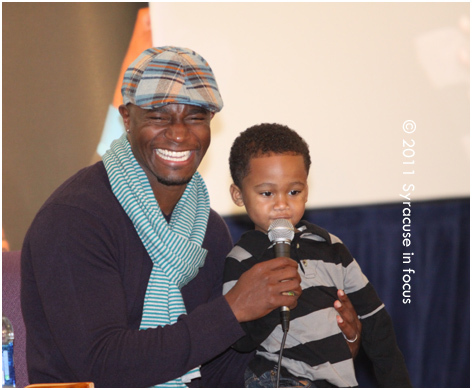 Actor Taye Diggs along with fellow SU alum Shane Evans talked about their book Chocolate Me and did a reading at the Greater Evangelical COGIC last Sunday. The story,based on lessons Diggs mother gave him as a child, are a great anecdote to low race esteem and self image. In addition to the reading, Evans and Diggs did a musical performance (Evans on guitar, Diggs on beatbox) with crowd participation. 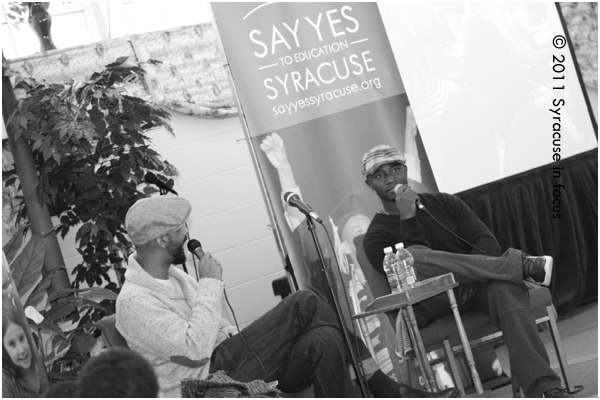 The event was sponsored by Say Yes to Education (Syracuse). We watched the Jason Hehir documentary about Michigan’s Fab Five last night and noticed the narration was done by SU grad and actor Taye Diggs.